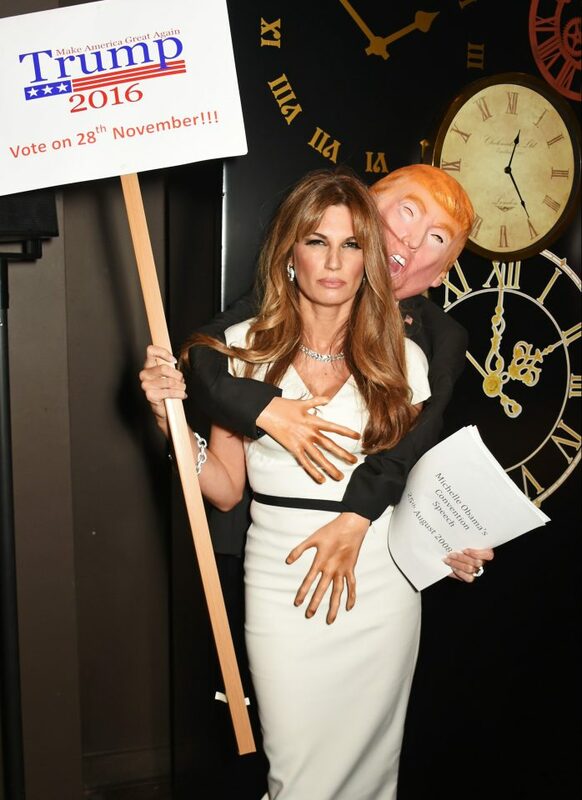 Jemima Khan chose a controversial Trump inspired costume for the UNICEF Halloween Ball in London. 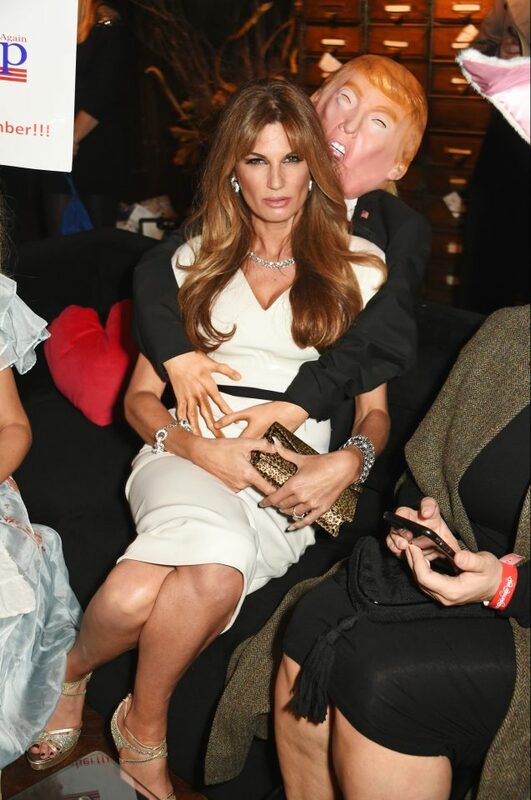 The 42-year-old journalist and campaigner Jemima Khan opted to dress up as Donald Trump’s wife Melania, but took the opportunity to adapt the look by having a blow-up Donald clinging to her back while his inflatable arms mimicked groping her chest and pelvic region. Melania Trump, with her groping husband Donald in tow.